B4U (The Acolyte mix)'s banner. 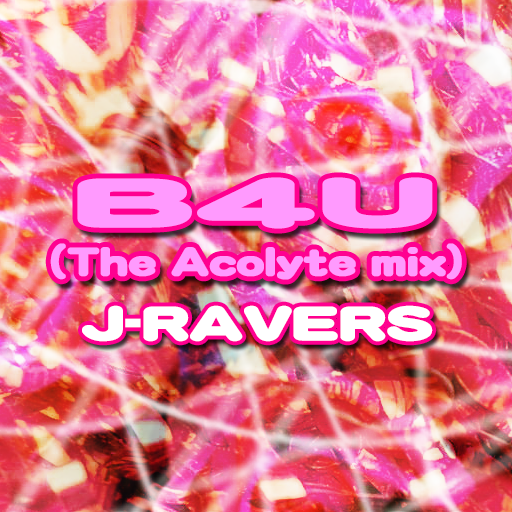 B4U (The Acolyte Mix) is a remix of B4U, from DanceDanceRevolution 4thMIX. The full version of B4U (The Acolyte mix), credited to NAOKI presents WORLD WIDE STYLE, can be found on the KONAMI♪MUSICフル service. A different arrangement of B4U (The Acolyte mix), titled B4U (Rising Sun mix), can be found in the Japanese release of DanceDanceRevolution HOTTEST PARTY. B4U (The Acolyte mix) is the only exclusive KONAMI original song on the American/European releases of DanceDanceRevolution HOTTEST PARTY. B4U (The Acolyte mix) cannot be found on any original soundtrack.